Center-right ruling party GERB will unanimously back the collective resignation of the Cabinet on Thursday and will not accept a mandate to form a caretaker government, according to Iskra Fidosova, Deputy Chair of the parliamentary group of GERB. Fidosova, as cited by Sega daily, made clear on Wednesday that President Rosen Plevneliev was expected to take prompt steps for the organization of fair elections, as required by Constitution. She emphasized that GERB would not take part in the organization of the elections and Tsvetanov would not be appointed head of GERB's election campaign headquarters in order to prevent accusations of manipulation. Fidosova spoke after a brief meeting of Tsvetan Tsvetanov, Deputy Chair of GERB, Deputy Prime Minister and Interior Minister, with GERB MPs which took place after the announcement of Prime Minister Borisov that the government would resign collectively. Sega daily cites sources close to the matter as saying that Tsvetanov told GERB MPs that there was nothing to fear about the collective resignation of the government. 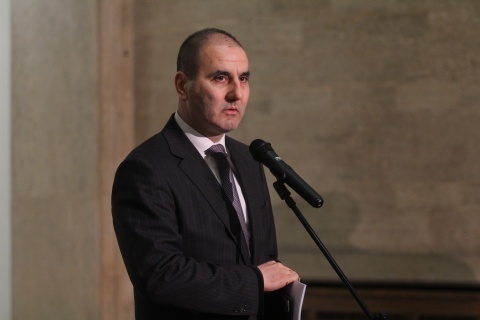 "Cheer up, we'll crush them at the elections," Tsvetanov was reported as saying. Meanwhile, Krasimir Velchev, Chair of the Parliamentary Group of GERB, argued that the collective resignation of the government had shown that GERB was responsible and took national interests into account, unlike the socialists, who had left Parliament to stir tension. Prime Minister Borisov's announcement of the collective resignation of the government follows a series of mass protest rallies against high electricity prices that morphed into wider discontent over austerity and the way the country is being run. Bulgaria's Parliament is to vote on the Cabinet's resignation on Thursday. The country's parliamentary elections are due on July 7.